Born to a French father and a Cameroonian mother, Clarisse split her childhood between Guinea-Bissau, Mozambique and France. As a child, Clarisse was a shy and dreamy little girl, always reading, writing stories, singing and dancing. Her dream was to one day sing beautiful songs with the elegance of Sade. Years in Maputo have certainly been the most striking moments of her childhood. She lived in a cosmopolitan ambient, listening to rhythms from all over the world.This is where she learned Portuguese, watching Brazilian novelas on TV, and dreaming about Rio De Janeiro. In the early 90s, her family went back to France. 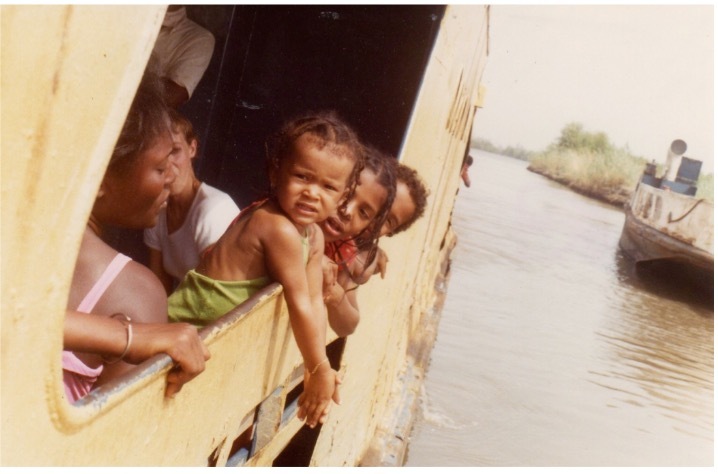 The change were not that easy and Clarisse became very nostalgic of her African childhood. However, France is also a part of her and offers another incredible blend of cultures and traditions. Once again, dived in a multiple ethnicities ambient, she discovered Hip Hop, Electronic Music among others. Her passion for writing and singing becoming even more vivid, she joined a Gospel choir and made her first performances on stage as a lead singer and backup vocalist. She began to really wonder which musical way she should follow to fulfill her artistic aspirations. While studying Cinema at La Sorbonne, she sang as a backup vocalist in a band performing Soul & Funk covers. The will to express herself other than being a performer were too strong for her, she will quickly leave the band. She needed to find her way. With her eclectic musical tastes, it wasn’t an easy task. But she decided to take it easy. Time will tell. From her childhood, she kept love for travels and an obvious attachment for the Portuguese language. This tongue which transcribes so well her deep nostalgia. So she decided to work on Brazilian standards. MPB, Bossa, Samba. 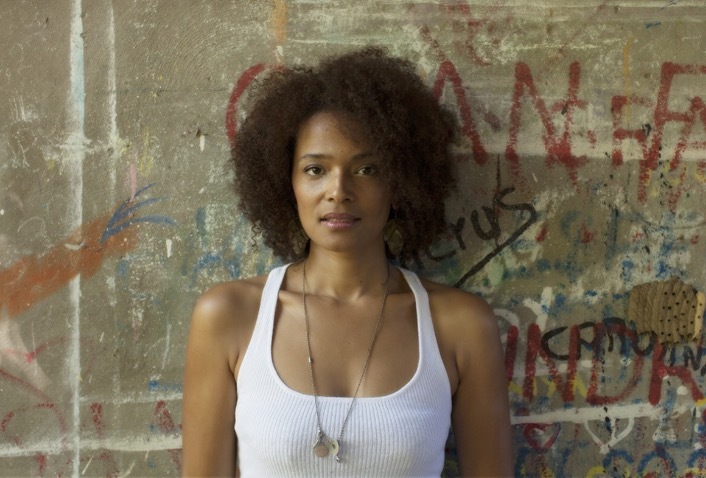 She dived herself deep into this culture, into this music full of”saudade”, so connected with her childhood memories of Maputo. That was the perfect timing to achieve another big dream : fly to Rio de Janeiro! During her journey, she soaked up the atmosphere, the sounds, the spirit of Rio… The marvelous city brought much more than expected. One night, chilling at Posto 6 of Copacabana’s beach, a friend wrote a poem for her; saying that when she smiles with all her heart and soul, she becomes a “mulata universal”. For Clarisse it’s an eye-opener. Here was what she needed to express. The essence of what her music should be. The soul of a woman with an universal heart. Back to Paris, she focused on creating her own music. Writing, songwriting, with the help of fellow producer and composer, LS. With lyrics full of “saudade” and love, transcribing her bohemian spirit in a subtle fusion between Soul & Bossa-Nova, Clarisse with her sultry and mesmerizing voice, invites us in her cosmopolitan and warm shelter. We are ONE, we are LOVE. Welcome to Mulata Universal’s world..
Mulata Universal – The album. 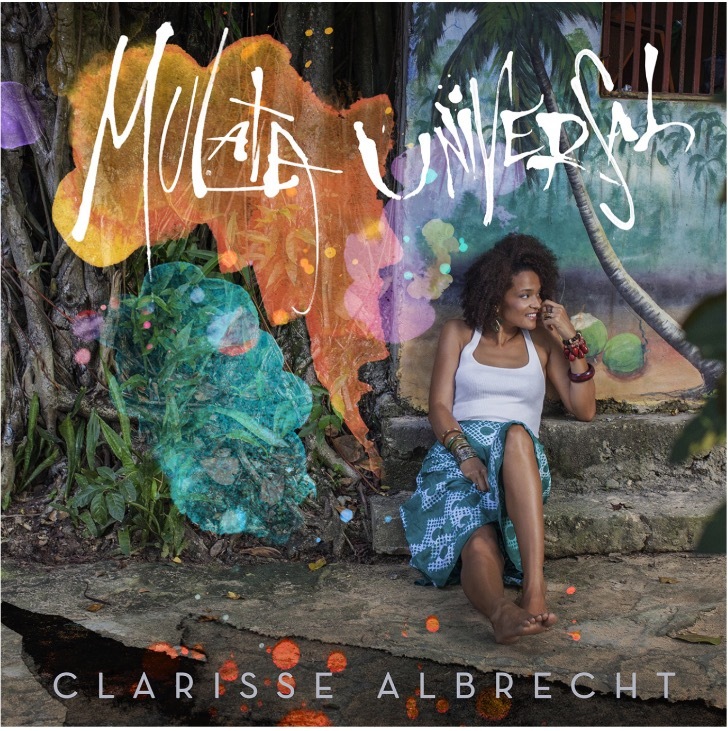 After the release of two beautiful singles, « Você Me Dá » (Best African Diaspora Song at the MOAMAS 2011) and « Não Posso Parar », Clarisse presents her début album « Mulata Universal », produced by R’N’B producer LS (Afrodiziac). 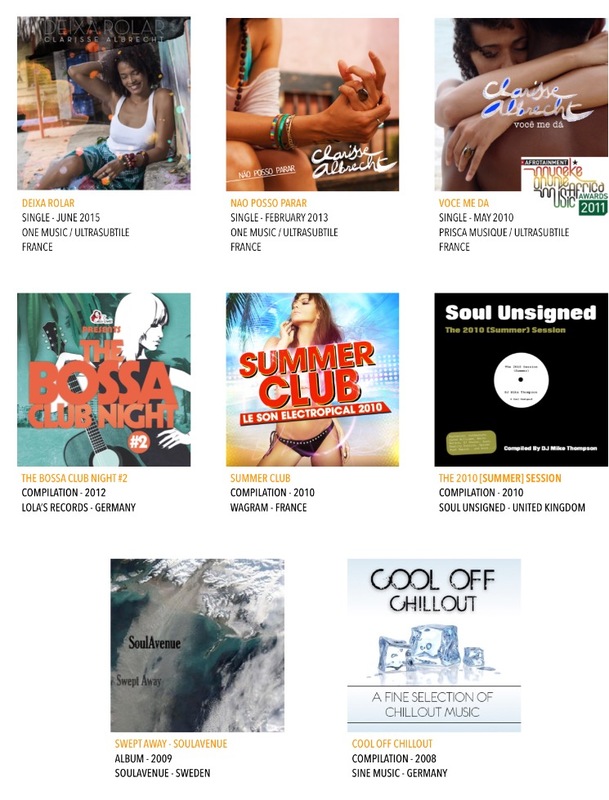 Bringing together in a subtle fusion Soul and Bossa-Nova, « Mulata Universal » offers a musical journey through which, Clarisse, lyricist and songwriter, expresses herself with sensualism and sensitivity. A sultry voice, a delicate and versatile writing, using sometimes Portuguese melancholy, using sometimes the universality of english, Clarisse delivers an album for music distingue lovers, digging elegant and timeless productions able to be classified among those from Sade or Cesaria Evora. «Deixa Rolar» is the single representing the album. A summery tune sweet and sultry, the perfect soundtrack for a beautiful summer. ULTRASUBTILE DISTRIBUTION DIGITALE : BELIEVE DIGITAL & MAYWOOD INT. Clarisse, singer-songwriter is also the mother and the stepmother of two girls. She attaches importance to the meaning of the words and is attentive to the lyrics of the songs they listen to. For that reason, she asked for the creation of a warranty label for the parents having the same worries. 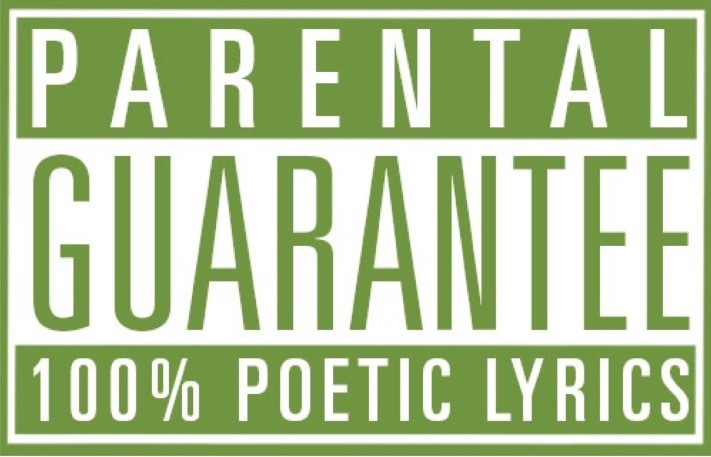 This label indicates that the contents of her lyrics are poetic and don’t contain insults or expressions which can disturb young or sensitives souls..